Standard and itemized deductions lower federal income tax obligations. Tax deductions reduce the amount of income on which you pay taxes. The standard deduction serves as a default amount based on whether you file individually or jointly with a spouse and adjusts each year for inflation. You can opt to itemize if the deductions are greater your standard deduction. These allowances come from home ownership, supporting charities, working, and unfortunate events such as disasters and accidents. You can write off the difference between your out-of-pocket expenses and 7.5 percent of the income you report on line 38 of your Form 1040 as adjusted gross income. These include examinations, diagnosis, treatments, surgery, prescriptions and weight loss prescribed by your doctor. Over-the-counter drugs and cosmetic surgery, including teeth whitening, do not count. You may claim payments to carry medical and dental insurance for you, your spouse and your children. The costs to park at a hospital and travel to get treatment for children are deductible. Medical and dental services paid by insurance do not qualify. The taxes you pay to state and local governments can reduce your federal income taxes. 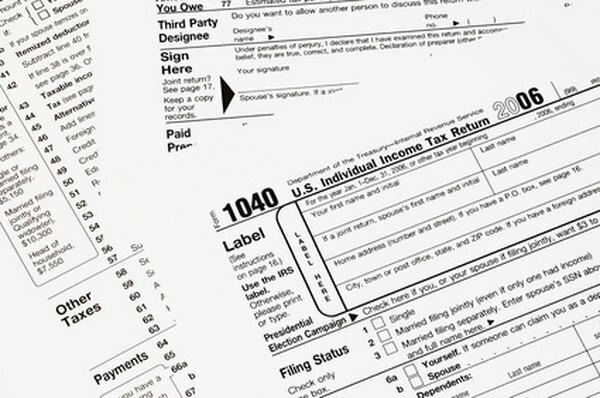 Your W-2 forms reveal what is withheld for state or local income taxes. You receive deductions when you pay taxes assessed by local governments on the value of your vehicle, house, land or property you used in a self-owned business if you did not organize it as a separate entity. You must include state and local income tax refunds on your federal return if you deduct the taxes. As an alternative to deducting income taxes, you can write off sales taxes. You can deduct the interest you pay on mortgages on your main and second homes. For a mortgage to buy or improve a home, up to $1 million in debt qualifies if you are married and file jointly. If you have a home equity loan, you can consolidate credit card debt, thereby converting the previously non-deductible interest to deductible mortgage interest. However, qualifying home equity loans are limited to $100,000 for spouses filing jointly. Interest on loans to buy investment property such as stocks and bonds is deductible up to the amount of income from these investments unless you acquired tax-exempt bonds or engaged in passive business activities. Donations of money and property to charitable, religious, scientific and nonprofit educational organizations qualify for deductions. The Internal Revenue Service lists tax-exempt organizations in Publication 78, available through irs.gov. You count the value of a car or truck at the time you donate; if the charity sells the vehicle, you deduct the sales price received by the charity. The deduction is not available for raffle tickets, food and other items you buy from a charity, even though your purchase is part of a fundraiser. The IRS allows a deduction for employee business expenses above 2 percent of your adjusted gross income. Travel expenses are allowed if you drive from your workplace to a temporary job site or, if you work from home, to a location as part of your work; commuting does not count. Home office expenses qualify if you work from home for your employer's convenience; self-employed people who serve customers, clients or patients from a part of the home used exclusively for that purpose can deduct a portion of their expenses proportionate to the percentage of the home used. Other deductible expenses include subscriptions to professional journals and dues in professional organizations. The write-off for losses applies to robberies, larcenies, embezzlement, fires, natural disasters, fires, vandalism, accidents and the failure or bankruptcy of a bank or other financial institution. To qualify as a natural disaster, the loss must occur in a federally declared disaster area. For each event, the loss must exceed $100. Casualty and theft losses are subject to a floor of 10 percent of the income reported on line 38 of Form 1040 less the $100 minimum loss. What Are Gross Income Inclusions?